No other part of your Brampton home gets as much exposure as your front door. The front door is where you greet family and friends, and where the journey to your house begins. So, it speaks volumes about who lives inside. There is a wide range of entry doors styles and options available. Brock Doors & Windows believes that selecting a new front door doesn’t have to be stressful, and we can help take some of the load off your shoulders. 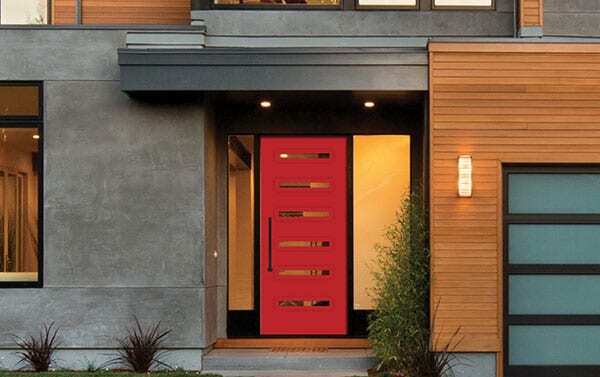 Brock has many door options, including Fusion, Dorplex, Trimlite, and more. This guide will tell you all about our Trimlite doors and why they are the perfect fit for your home. Our Trimlite doors come in a broad line of designs, from very open to more obscure. To assist you with your decision, we include photographs of each design in controlled environments allowing you to clearly see the difference. Included with each photograph is a number which represents the level of privacy each design offers. Everybody is different, and so are our Trimlite door designs. That is why Trimlite has the perfect doors for you! Our Trimlite doors allow you to create a beautiful focal point for your home with an entrance that is truly a reflection of your style and personality. We use solid metals (where all joints are hand-soldered) with all our decorative Trimlite glass panels. This ensures the panels will be durable enough to withstand the wear and tear of daily use. The selection of top quality art glass and bevels we offer is what brings our designs to life. The metals are available in 3 finishes, Brass Caming (affords a stylish and luxurious look), Patina Caming (features a black satin finish which gives your home an antique or rustic appearance), and Zinc Caming (lending a modern or contemporary look to your entrance with a brushed chrome appearance). Once the panels are assembled, they go through a rigorous cleaning and inspection process. This meticulous attention to detail is how we ensure that you get the utmost in quality. Transoms (a horizontal beam or crosspiece which separates a door from a window above it) are one way to let even more light into your home. Your transom needs are unique to your particular situation. That’s why we offer our Trimlite doors with a large variety of transoms, including rectangle, segmental, half round and more, giving you the flexibility to select the design you love in the shape you need. As you know, houses in Brampton come in every size and shape. It is important to find a door that complements the architectural design of the rest of your home, but the front door is your opportunity to make a statement, as well. 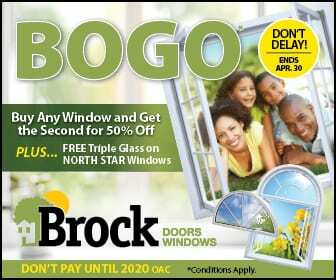 No matter your style, Brock Doors & Windows has options that are perfect for everyone, so feel free to express yourself. What are you waiting for?